Select a Size: 10" 12" 14" 16"
Our Real Sheepskin Chest and Girth Strap Cover is made of 100% pure, natural, chrome tan shearling sheepskin. 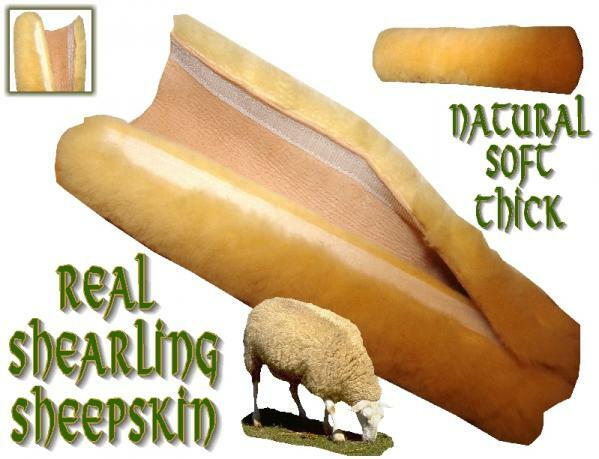 This shearling strap cover is a plush ½” thick, making it very soft and flexible. This cover will fit a strap up to 2” wide and is available in 10", 12", 14", and 16" lengths.